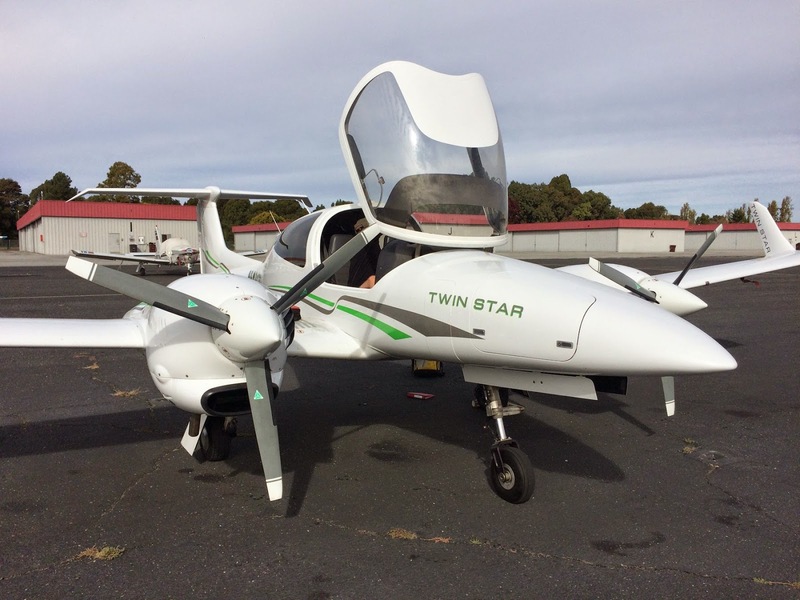 This was supposed to have been another of my tediously-long and wordy postings, this time about my introductory flight with John in the Diamond DA-42 Twin Star out of Hayward (KHWD) a couple of weeks ago, but life got in the way, and this is all you'll get. Sorry. Summary? A really addictively enjoyable — and scarily expensive — hour and half of airwork, engine out exercises, landings at Rio Vista (O88) and Hayward, and a lot of fun just flying around doing 140 KTAS at 11GPH (total!). 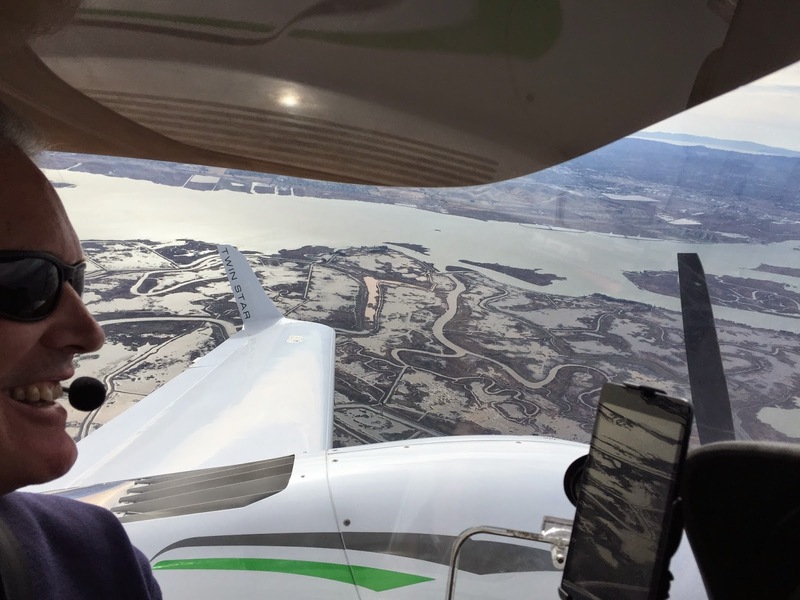 I don't end up killing anyone or damaging anything, the DA-42 is a joy to fly, and John doesn't swear off instructing as a result of anything I did (well, at least as far as he's told me). Is there serious multi-engine training in my future? I don't know — I can barely afford single-engined planes — but I've been eyeing a multi add-on for a decade. We shall see, as I always seem to be saying….